Hi… It is so nice to see you again. As I promised, I am meeting you here to share some of the magic secrets I have learned at Doorway to Recovery. Would you like to know what brought me there? Well, I wandered in the front door seeking some much needed direction with my then 23 year old grandson who was serving yet another prison sentence. I carefully lugged in a large cauldron of simmering, toxic emotions, known as my mind! The situation had reached a crisis level and it was slowly eroding away my emotional foundation. The fire under this simmering pot was fueled by guilt. The guilt was constantly being stroked by inappropriate thoughts, which led to inappropriate and irrational behaviors. It finally boiled over, affecting my very being and daily existence. I was slowly being poisoned by my own thoughts and actions. I was stewing in my own juice! It was violent, sad and crippling! Further, I was the World Champion Enabler, which I had honed into a fine art! I grew up with an alcoholic father and Grandfather, and alcoholic step-mother and stepfather, 7 of my 9 uncles were raging alcoholics and eventually my dear mother became drug addicted. Her drug of choice was Percodan! They all, every one of them, died from a direct connection to their addictions. And yes, I am unfortunately all too familiar with the blood, the guts, the mud, the tears, the beer, the fights and abuse, more martinis and lots of Percodan! These things, and worse, always keep close company with addiction. In the middle of all this chaos and depravity, I contracted a nasty virus which left me paralyzed from the neck down. I did eventually recover, but only after months of painful and lonely rehabilitation built around the philosophy of “never give up, never quit, never say you can’t, and I can fix anything!” How about that for perfect training for a lifetime of enabling! I proved I was a star pupil… teachers pet! The clouds were gathering… the perfect storm was approaching! Fast forward to many years later and there I was standing on the doorstep of Doorway to Recovery with a heavy load of baggage. I had showed up for the 3:00 performance of the Mark Burchell Magic Show! I was filled with elation to have found this resource as I fully expected, it would be here, that I would finally uncover the one thing that I must have overlooked that would be the magic to “fix” everything, including my grandson! I reasoned that this magic show would pull that information and instructions out of a hat, and my eternal and destructive search for a “fix” would finally end! Needless to say, I got the shock of my life… but I was not disappointed! The magic proved to be nothing at all like what I was expecting… illusion was transformed into reality. What a relief… and one of the secrets of this magic show was how to spell “relief”… it is spelled B-I-B-L-E! Read it and live it! I also learned some of the tricks to a more balanced life… I gained my emotional eyesight back and it came with an excellent GPS system to navigate life and all the perils. I also gained a magnificent personal bonus, a gift of a lifetime, but I will share that particular information when we meet again. It is a story in and of itself! The following is some of the magic I would like to begin to share with you, more will follow! This is just the beginning. I have found this to be of great value… it is tucked into my brain for future use! This magic appeared, seemingly out of nowhere during the magic show… abracadabra… it will work for you too! + Never make a decision based on guilt! + Emphasize the part of life you can control – lifestyle and mental attitude! You can only control you! + Don’t do anything until you are asked, and then decide if you can do it, should you do it, and do you want to do it? + Love should not be crippling. Some detachment is a healthy, neutral place to be. + Fear and worry are not the same. Fear is put in us by God and needs to be addressed. Worry has no purpose and can be set aside. We create our own worry. + If you change the way you look at things, the things you look at will change. + Open your heart, unconditionally, and let Christ in! Seek and follow His word… enjoy the magic! More magic tips will appear in our next meeting. The joy is in the seeking… the misery is in the denial! Hi, my name is Bonnie, (alias Boom Boom LaRue) and I have been wandering into a magic show every Monday for a year! It was there that I discovered all who wander are not necessarily lost! I would like to share some of this magic with you. We could meet right here, at your convenience, and share some of these secrets, tell you about the Lost and Found Department, and the magnificent gift of a lifetime that was bestowed upon me. I understand how valuable your time is, so we will keep our time together worth your while. Brenda Dela Casa, author and blogger, once said, “Use your time wisely, even when you are alone in the space of your own mind.” Looking forward to our rendezvous. I will be here… will you? The Doorway to Recovery Program and Services is pleased to announce our new and improved sober living program. “The New Doorway to Recovery” features new homes, new administrative procedures, and most importantly our new Life Recovery Program, designed to help men and women in and out of our sober living homes achieve continued sobriety. This letter is to keep you, the in-patient substance abuse treatment providers, in the loop of what we have going on. The Doorway to Recovery has recently opened a new women’s home in Redford, the Seminole Home, our newest addition to our women’s sober living program. This beautiful 3 bedroom home is a place where up to 5 women are able to call home, located near public transportation, many employment opportunities, two blocks from the Metro-West ALANO club, and many restaurants and shops. Currently our women’s homes are located in Redford and Livonia while our men’s homes are located in Detroit (Old Redford), Livonia, Plymouth, and Westland. The New Doorway to Recovery’s administrative office features effective case management which monitors and tracks our participant’s progress in our sober living program. With this data, we are then able to report on our participant’s behalf to referring treatment providers, allowing for effective communication and feedback to better serve those in our sober living homes. The most important aspect of the “New Doorway to Recovery” is our Life Recovery Program, offering several pathways to a full recovery from drugs and/or alcohol. Life Recovery’s new programs include: Back to Basics: an accelerated crash course on the twelve-steps of Alcoholics Anonymous, Life Recovery Bible Study: a comparative group that examines and discusses biblical scripture and its relation to twelve-step recovery, Weekend Retreats: monumental healing weekends for men and women who are looking for spiritual growth through the guidance of others, in a nurturing and loving environment plus many other programs that focus on healing and restoration. We are grateful to be able to share these new programs with our local recovery community, and the treatment providers who make the process possible. Please do not hesitate to contact our office at any time should you have any questions, comments, or feedback. Heroin is an opioid drug that is synthesized from morphine, which is naturally occurring from the seed pod of the opium poppy plant. 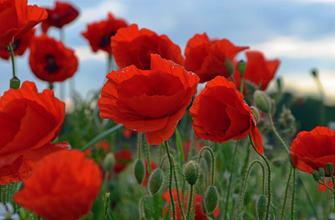 You know, the pretty red flowers that are depicted in paintings. These pretty flowers! As beautiful as these flowers are comes a dark and ugly side of them too. From their seed pod, people use the liquids that are extracted to produce heroin. Heroin usually comes in a white or brown powder or in a black sticky substance called “black tar heroin”. 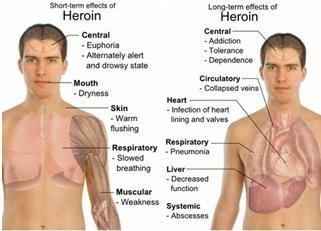 Heroin can be smoked, snorted or injected by the user, all of which deliver the drug to the brain very rapidly. With this rapid delivery to the brain, users have a high risk of addiction, health issues and relapse if the person has quit the drug. As soon as the heroin reaches the brain, it is immediately converted back to morphine. While in the brain, the morphine binds to molecules on the cells, which are your opioid receptors. These receptors are located all throughout your brain, body and brain stem- which control automatic processes of life, like breathing, blood pressure and heart beat. Heroin overdoses more often than not involve the slowing down of breathing and heart rate. With breathing slowing down and heart rate dramatically slower, the brain receives less oxygen, a condition called hypoxia. Hypoxia can lead to short and long-term neurological effects, including coma, brain damage and death. Heroin abuse can and will lead to a number of serious health concerns. Some of which include fatal overdose, spontaneous abortion, hepatitis and HIV. To go along with that, chronic users can develop collapsed veins, heart lining and valve infections, liver and kidney disease, and pulmonary issues due to the effects on the breathing of the users. Additionally, street heroin contains toxic additives that can clog vessels that help transport vital oxygen, nutrients and blood to the lungs, liver, kidneys and brain. All of which can cause permanent damage to these vital organs. The use of heroin during pregnancy can lead to a wide variety of different pregnancy issues. 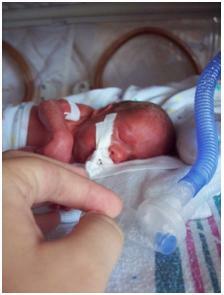 According to drug abuse.org, low birth weight and other developmental issues can develop. Drugabuse.org also states that if the mother is regularly using the drug, the infant can be born with a physical dependency on heroin thus suffering from a condition called neonatal abstinence syndrome or NAS. Breaking the addiction process is a tough uphill battle. A battle that is worth the fight. With recovery, you receive your normal life back and you get restored to your family, friends and most importantly, yourself. What has God done with me that he could I could have never done by myself? It’s pretty simple, acknowledge Jesus to others, and He will advocate for us to God, that when we sin, which trust me, we will all sin; your pastor, your parents, your children, everybody (thanks to the sin nature brought about in the garden of Eden by Adam and Eve); we have God’s only son standing and working to help us. Jesus knew what it was like to be tempted by sin, and to not fall to sin, where we have failed. Yet though our advocate, we experience grace, never ending grace. God is an awesome God who loves us, shows us daily grace, and helps us overcome the world, including the hurts, habits,and hang ups that we occasionally struggle with. I am very grateful for the grace that has been bestowed upon myself and my brothers and sisters in Christ. If you are suffering through an addiction, or have had your live affected by someone with an addiction, take the next step. Turn to the almighty God. Give your life to Christ so you may find healing from these hurts, habits, and hang ups. He is the way, the truth, and the life, and if you are looking for a change in your life, try aligning your life to that of the Creators. Ouch! That really hits hard! Paul really convicts when he writes! God is truly our redeemer and how many times have we done, said, or acted things that do not show God’s presence in us? I am not speaking for anyone else but myself, but I do have a feeling that I’m not the only one who feels this way. It just keeps convicting me, in myself, and in the process of helping others through their recovery journey. Quite often men and women who have been living in active addictions do things that are described as “unfruitful deeds of darkness” Ephesians 5:11 It is our job, first as Christians, but secondly as family, friends, and of course mentors, to expose these activities that are a hindrance not only to life itself, but the whole recovery process as well. Recovery is a process that is thoroughly honest, and quite often deeds that are done by people in recovery are not thoroughly honest or righteous, and it is right for them to be brought to the surface, or to have a light shined on them. Wow, those verses sum up the mission of Doorway to Recovery, and sum up the recovery process in general. “Be careful how you walk” Ephesians 5:15 is similar to step 10 – continuing to take personal inventory, “…the days are evil.” Ephesians 5:16 reminds me why Doorway to Recovery takes an active stance on keeping individuals busy, through work search, volunteering, and other activities; the days are truly evil, and it’s best to be occupied than to get caught victim of them. And the most recovery focused verse says, “… do not get drunk with wine, for that is dissipation, but be filled with the Spirit,” Ephesians 5:18, and this is really straight forward that you may be filled with either wine (in the aspect of drunkenness) or with the Spirit, so why choose the one that takes away from your life… Choose the one that fills your life and brings good fruit. Thank you very much for reading this. If you have any comments, you are invited to do so below. From Doorway to Recovery’s Office in Farmington Hills, MI, have a blessed day everybody! Bob was a great guy and one of the most animated people you would ever meet. His personality was very unique and outgoing and he was never afraid to share what was on his mind. Bob came to Doorway to Recovery and while he was in our program it was great to be able to see him change and grow. Bob immediately clicked with others who were in recovery around him and brought laughs to many people. When we found out Bob had passed away, it brought the good memories of Bob to the front of all our staff’s minds…. When he came in, his no-frills attitude, his kind generous heart. Bob was a great guy and will be missed. All of the staff at Doorway to Recovery would like to thank Shannon Hiatt and Southwest Airlines for their generous donation in memory of Bob Shepherd. These funds will be used for continuing DTR’s Life Recovery Program to be able to reach more people like Bob and help get them out of the grips of addiction. This past weekend, some of the Men from The Doorway to Recovery took a trip to Timber Wolf Lake for Woodside Bible Church’s Men’s Retreat. The annual Woodside Men’s Retreat was an amazing trip filled with great times and even better people. Check out some of the pictures below.